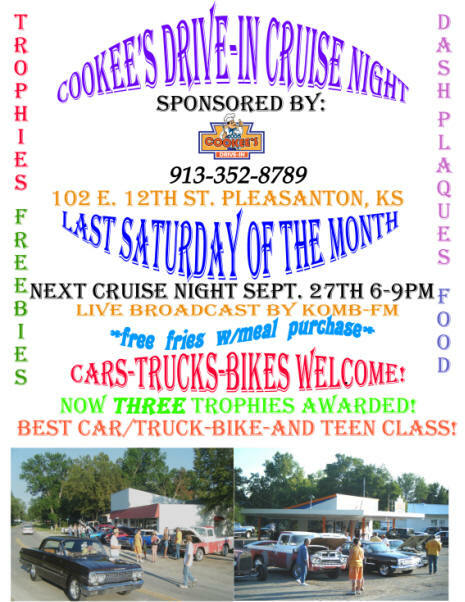 September 27th 2008 Cruise Night Flyer! Click radio icon to hear our newest commercial! We're adding a trophy for the teenage group! Click HERE to see our newest dash plaque design! Fantastic time!! We had cars and bikes that had never attended before! This is the last one till next Spring! Take a look! bike of show! Total custom work! had the brown, '63 Impala!